The gown did not have a trace of lace. It had clean lines. And it was worn by an American bride, made by a British designer from a French fashion house. “We wanted to create a timeless piece that would emphasise the iconic codes of Givenchy throughout its history, as well as convey modernity through sleek lines and sharp cuts,” Waight Keller said in a statement released just moments after she had finished adjusting the bride’s 5-metre long silk tulle veil on the steps of the chapel. The dress’s simple design alluded to an interview Markle gave in March 2016, where she described Carolyn Bessette Kennedy’s minimalist gown – completely devoid of embellishments – as “everything goals”. Before Markle donned her veil, Waight Keller’s name was not even thrown into the hat. Heavy contenders had included Ralph & Russo, Burberry, Erdem, Stella McCartney and Ronald Mouret. Waight Keller took over the creative reins from Givenchy’s Riccardo Tisci last March. The British designer is known for her feminine and romantic aesthetic, and was recently credited for making couture relevant again, according to an article in Elle. Prior to the appointment, Waight Keller was the creative director at French fashion house Chloe in 2011, where she was praised for her romantic designs that were true to the house’s DNA while remaining current – a feat not seen since Phoebe Philo was creative director. Her impressive resume also included working with Tom Ford at Gucci, alongside Christopher Bailey and Francisco Costa, as a senior designer in 2000. 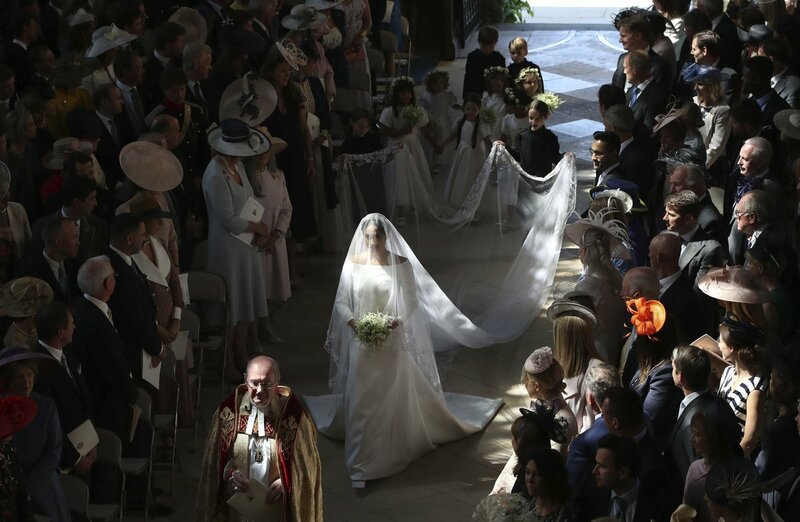 This entry was posted in Bridal and tagged burberry, Clare Waight Keller, erdem, Givenchy, Ralph & Russo, Ronald Mouret, Royal Wedding, stella mccartney. Bookmark the permalink.